Updated at 11:58 a.m. ET: WASHINGTON -- The U.S. Court of Appeals on Tuesday tossed out the conviction of Osama bin Laden’s former driver for supporting terrorism, saying the law under which he was tried did not apply to his crime. Salim Ahmed Hamdan was convicted in 2008 by a panel of six U.S. military officers of providing material support to al-Qaida. He was sentenced to five-and-a-half years and released shortly thereafter because he had already spent six years in custody at the Guantanamo Bay Naval Base detention camp in Cuba. He was the first Guatanamo detainee to be convicted of war crimes. The Court of Appeals for the District of Columbia vacated Hamdan’s conviction even though he has already served his sentence. The court noted that Hamdan’s crime occurred from 1996 to 2001 and said the 2006 Military Commissions Act -- which specifically lists material support for terrorism as a war crime triable by military commission -- cannot be applied retroactively to cover it. The court also said that while military commissions may try violations of the international “law of war,” when Hamdan committed the conduct in question the law did not proscribe material support for terrorism as a war crime. “Because we read the Military Commissions Act not to retroactively punish new crimes, and because material support for terrorism was not a pre-existing war crime under 10 U.S.C. § 821, Hamdan’s conviction for material support for terrorism cannot stand,” the appeals court ruled. Hamdan was captured in Afghanistan in November 2001 – about two months after the Sept. 11 terror attacks against the U.S. The car he was driving contained two anti-aircraft missiles. Pentagon video shows the interrogation of Osama bin Laden's driver, Salim Hamdan, in Afghanistan shortly after 9/11. Hamdan’s captors handed him over to U.S. authorities, who transferred him to Guantanamo. Hamdan was held at Guantanamo as an enemy combatant and was eventually charged with one count of conspiracy. He raised legal objections to the prosecution, and the case made its way up to the U.S. Supreme Court. The high court ruled in 2006 that military commissions set up by the Bush administration to try detainees at Guantanamo were invalid because their structure and procedures violated both the Uniform Code of Military Justice and the Geneva Convention. The ruling prompted Congress to enact a new military commission statute – the 2006 Military Commissions Act. Hamdan was charged anew under that law with conspiracy and material support for terrorism. At his military commission trial, prosecutors argued that Hamdan was close to al-Qaida's inner circle, while his lawyers asserted that he was simply a driver and mechanic in the motor pool who needed the $200 monthly salary. Hamdan was acquitted of conspiracy but convicted of material support for terrorism. In August 2008 he was sentenced to 66 months’ confinement and credited for having already served most of that time. 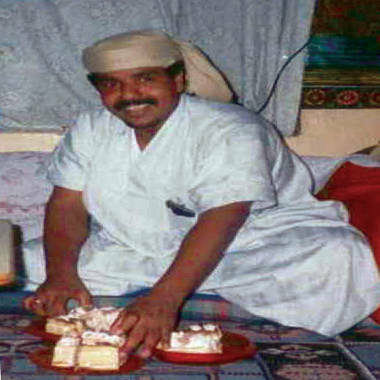 After his release in January 2009 in his home country of Yemen, Hamdan continued to appeal his conviction.